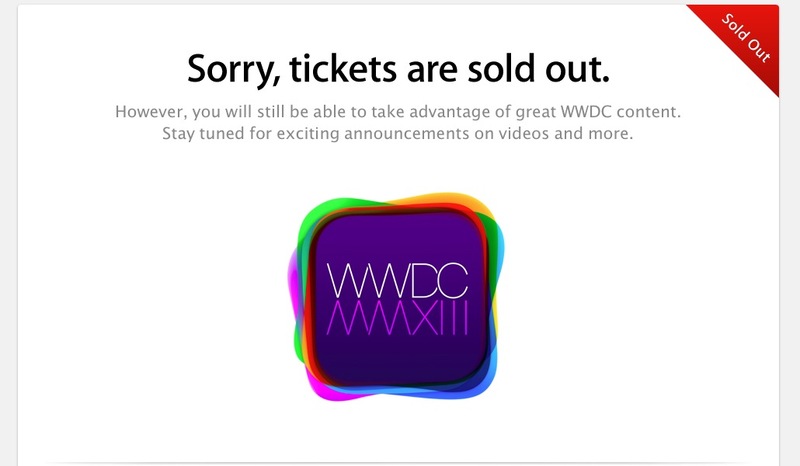 Apple’s WWDC conference has sold out in a record 2 minutes after going on sale. The company announced yesterday that its annual conference would take place in June 10-14th, 2013 at San Francisco’s Moscone West this year. Note that prior to 2008, when the iOS SDK was introduced, WWDC didn’t even sell out, demonstrating the insane demand created by the iPhone. Ticket sales were pre-announced this year, which was likely done in order to make it fairer for developers in various time zones. You must have been a member of Apple’s Developer Program before they posted their announcement today in order to purchase tickets. Another new feature: session videos will apparently be made available during the conference, rather than weeks or months later, making it better for those who couldn’t snag a ticket.